Just 3 months back, India’s largest and popular 2 wheeler automaker Bajaj had re-launched Bajaj CT100 in India. Seems like this strategy has worked out, as Bajaj has regained the lost sales in affordable commuter segment bikes. In the past, Bajaj obsessively focussed on high performance bikes ignoring the entry-level segment, the re-launch of Bajaj CT100 has brought new fortunes to the company – sales figure of Bajaj CT100 has crossed an whooping 1.5 lakh units in a mere 3 months of its launch. Bajaj CT 100, though is a relaunched model, it inherits most of the features from its old version of CT100. While the styling and design of CT100 remains the same, Bajaj has tweaked body graphics as well as the alloy wheels in order to provide this bike a premium look. The all new Bajaj CT100 is powered by 99.27 cc, one cylinder, air cooled engine which outputs a maximum power of 8.2 PS and a peak torque of 8.05 Nm. Bajaj CT100’s engine is mated with a 4-speed standard gearbox. 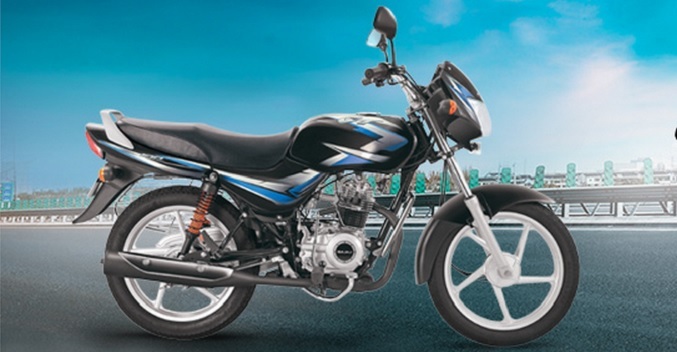 As we know, Bajaj CT 100 is an entry level commuter which is specifically designed for mass market. This is a go to bike for commuters whose priority is fuel efficiency and very reasonable price. Most sales of Bajaj CT 100 are recorded from rural areas and tiny towns in India. In the other hand, Bajaj has confirmed that it has not made CT100 available to all the states of India yet. The high demand for CT100 bikes shall trigger the need for more production of these bikes. Bajaj is expecting to continue to sell 60,000 units per month.